Building and decorating gingerbread houses is an annual tradition at our house. I decided to take a little educational spin on it this year and do some gingerbread house geometry. 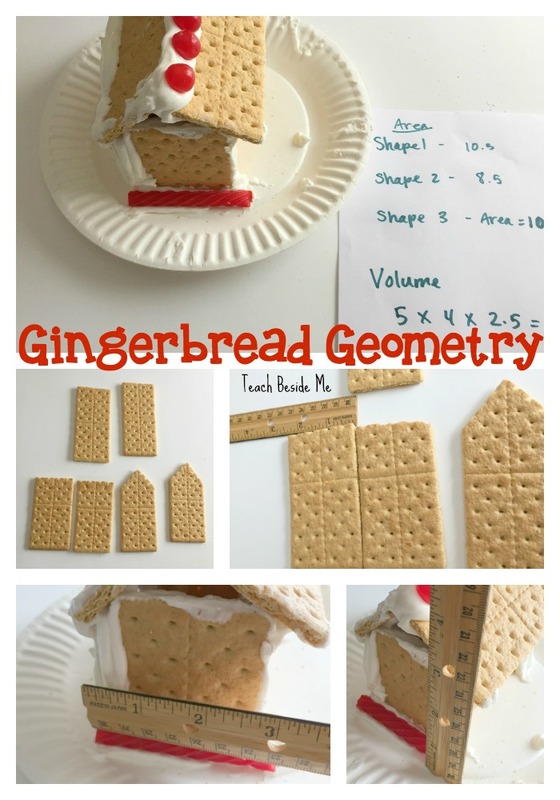 This is a great Christmas STEM project since it involves both engineering and math! 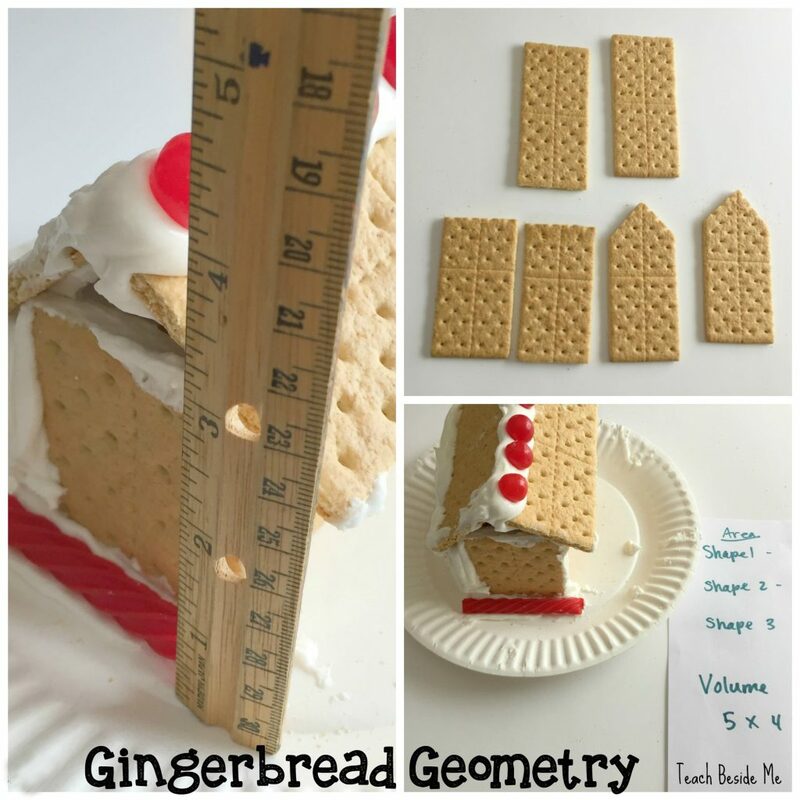 To do the gingerbread house geometry project, you need to build a gingerbread house, of course! 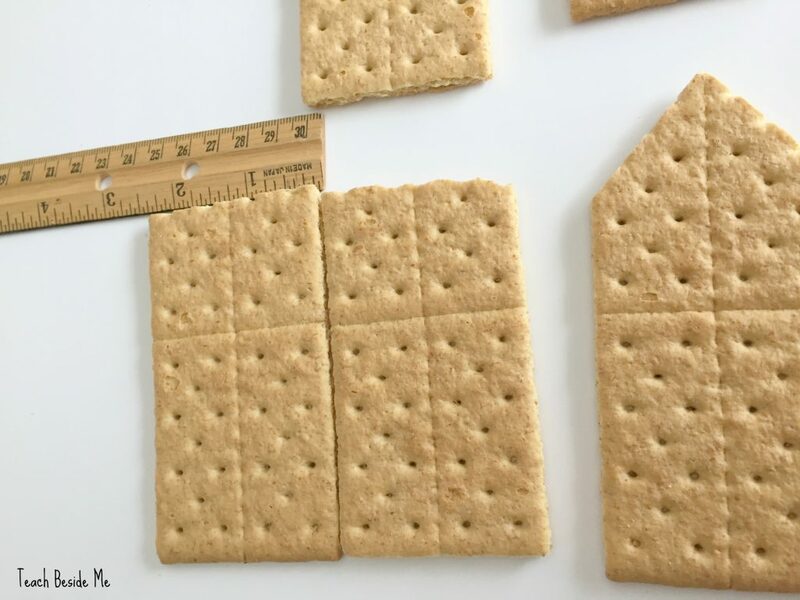 We did this project with graham crackers because I thought it would be the easiest to measure. 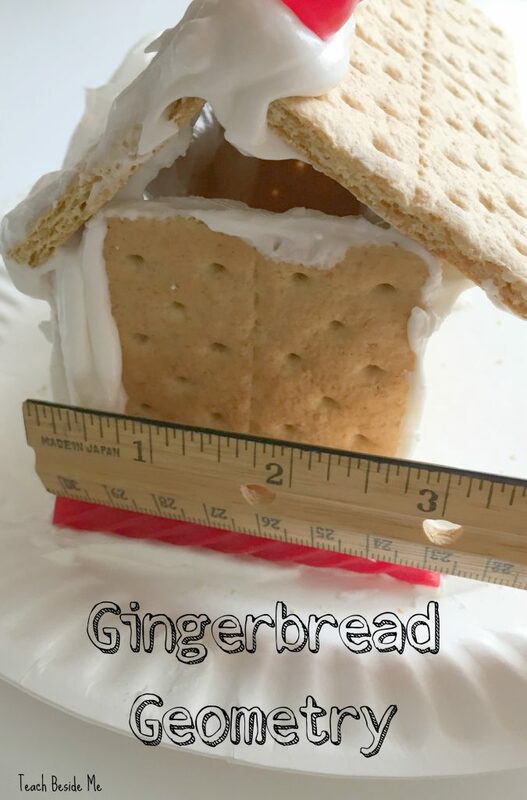 If you want our favorite homemade gingerbread, check that out here. You could also do it with the store bought versions just as easily. We used 6 graham crackers and made homemade royal icing. The recipe for that in my homemade gingerbread post also. 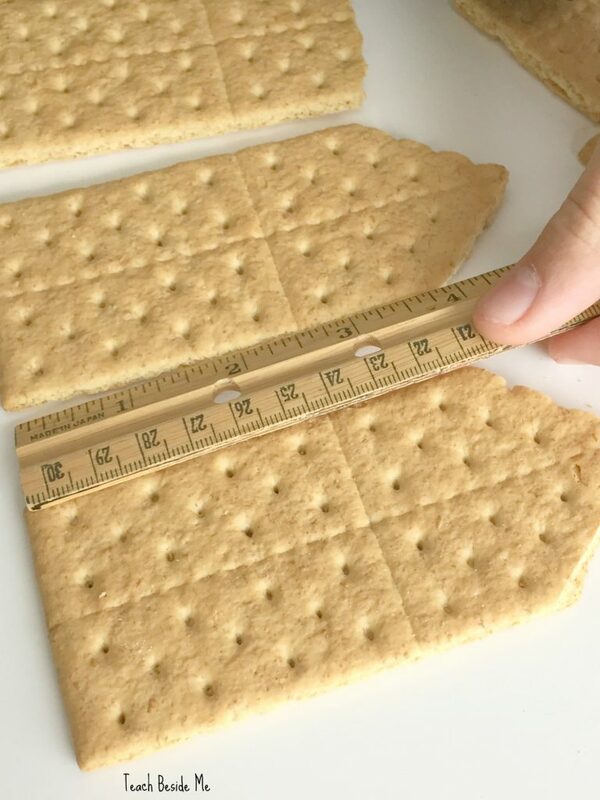 Carefully cut a 1 inch section off the top of two of the graham crackers. We also cut a peaked roof on two of the pieces, but ended up breaking that part off and using smaller squares instead when we built it. 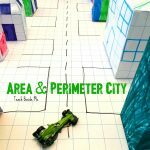 Measure the area of each of the pieces. To do this you measure width and height and multiply them. Then we also found the perimeter of the shape by adding together the length of all of the sides. 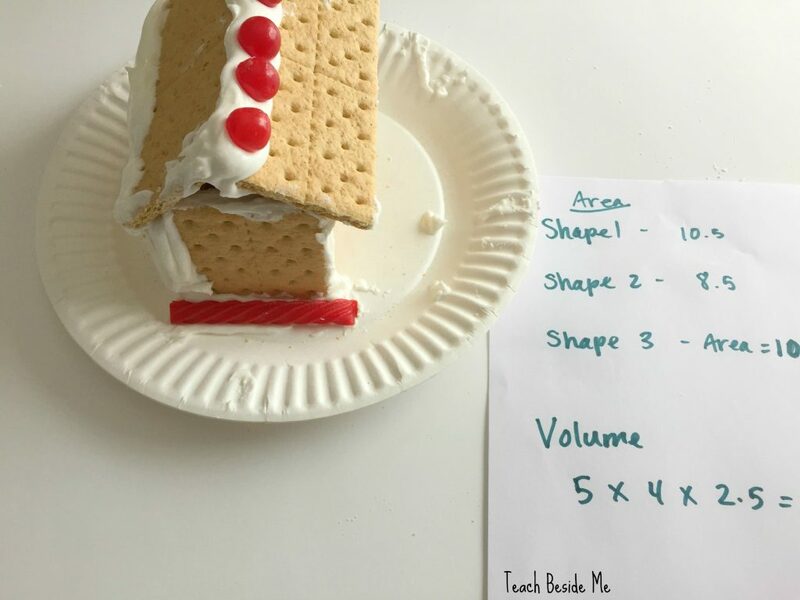 Finally we found the volume of the entire house by multiplying length, width and height. It was a fun educational spin on a holiday classic! We love edible educational projects. See this mega list of over 100 Edible Education ideas! 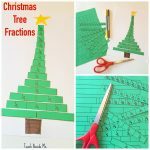 Looking for more holiday math ideas? 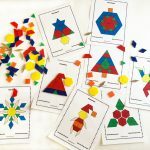 Check out: Christmas Tree Fractions, Pascal’s Triangle Christmas Tree, Snowman Fractions, & Save the Snowman, too! How about a little more Christmas STEAM ideas? 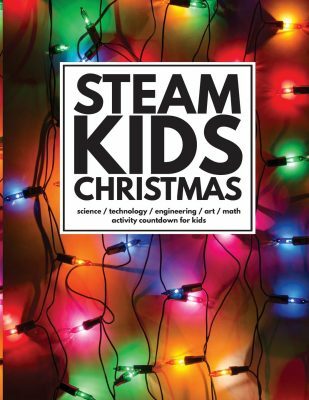 Check out our STEAM Kids Christmas book! 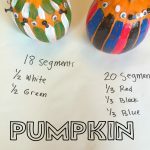 Pumpkin Math: How Many Segments?